With regards to tendon and ligament rehabilitation in horses, we have been living in the dark ages. By comparison, human sports medicine is far more advanced than its equine equivalent when it comes to soft tissue injury diagnosis and rehabilitation. Diagnosing and treating equine tendon tissue injuries to achieve maximum healing is not straightforward. Tendon injury diagnostics using conventional ultrasound scanners are limited as the scanner will only “look” at the density of the tissue, thus seeing a visual differentiation between tissue types within the tendon is impossible. In practice, this means that scar tissue in a tendon can appear exactly the same as healthy well recovered tendon tissue. All too often this reality is only discovered after the horse breaks down again shortly after returning to competition or racing. MRI scanning can give more information but is only practical for and affordable to a select number of horse owners. The latest technique to accurately assess the quality of tendon tissue is Ultrasound Tissue Characterisation (UTC). A UTC scan recognises different tissue types within the tendon and reflects the differences onscreen through colour coding. This means that it is now possible to differentiate between properly organised, strong and healthy tissue versus organised but weak and unhealthy tendon tissue. 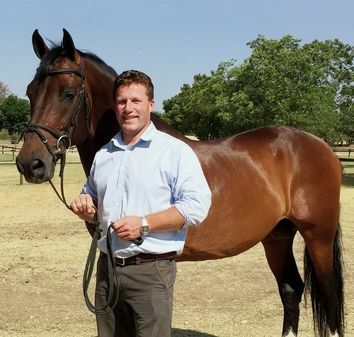 UTC is a significant improvement in the capability of assessing tendon quality, healing speed, recovery stage, responsible workload and ultimately reliably assessing when it is safe for a horse to return to competition. Best of all a UTC scan doesn’t cost a fortune (like MRI) and it is mobile! Horse owners know only too well how easily a rehabilitation plan can go awry with one incorrect step. The Equestride Rehabilitation device is a modern breakthrough in the treatment and management of tendon and ligament injuries in horses. Essential to the successful rehabilitation of a tendon injury is a controlled exercise program that allows for safe and gradual increase in exercise during healing. 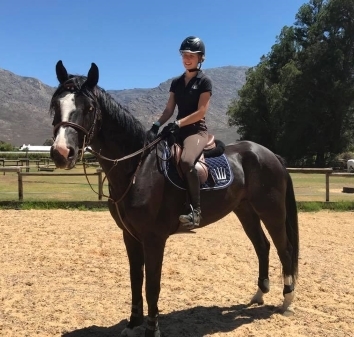 The advantage of the Equestride System lies in its unique ability to enable rehabilitating horses to exercise safely in a way that previously has been impossible. There is no other equine rehabilitation method available that can do this. The device most notably allows for variable support control that enables a gradual reduction in the amount of support it provides to the tendons as they heal. In other words, it is now possible to gradually and safely increase the amount of exercise the horse can do during recovery. This minimises the risk of scar tissue developing whilst at the same time maximising the chance of a successful return to full fitness without re-injury. We currently have offices in both South Africa and Europe. Please do not hesitate to contact us.